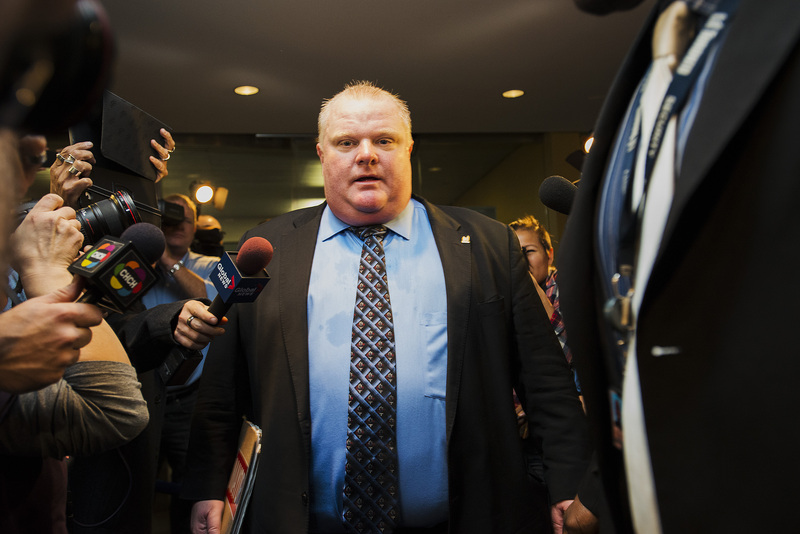 'Rob Ford The Musical' Is Coming – Are You Ready? Just in time for the 2014 mayoral race in Toronto, the city's Historic Factory Theatre will put on a production of Rob Ford the Musical : Birth of a Ford Nation . Yes, you read that correctly. Ever since Toronto's incumbent mayor became a household name with his crack-smoking antics, everyone has wanted to see a reality show or movie made about the slapstick-prone politician. Be careful what you wish for. The play's producers are holding an open casting call on Monday for their perfect Rob Ford. The casting, which is being held at Toronto's Second City Training Center, will be a "color blind casting," meaning that hopefuls don't have to resemble the mayor. Actors must audition with a one-minute comedy monologue and one pop, rock, or comedy song. They must also bring a headshot and resume. Presumably, showing up drunk and/or high on illegal substances will not score you any points. Toronto's The Globe and Mail described the play as "an unabashed, take-no-prisoners comedy" about Ford's personal and political life. As for playwright Brett McCraig, he used the slogan "From Gravy Train to Crazy Train" on his LinkedIn page. Besides being the playwright of the most important thing to come out of Canada since Corey Haim, McCraig's LinkedIn page also lists him as a sales representative at Sage Real Estate. The play is slated to open Sept. 15 and will run through Sept. 28, about a month before the 2014 Toronto mayoral election takes place on Oct. 27. It's unclear whether the production has a political agenda, but if it's well executed, the publicity and positive feedback certainly can't hurt Ford's chances in the race. Not that a musical about Rob Ford needs any help, but we have some ideas for some musical numbers that will have McCraig turning in his real estate license for Broadway. Inspired by Ford's original crack video, this number will feature the mayor and a chorus of hair metal groupies singing, "I Wanna Rock." Inspired by his second crack video, Ford will croon the melancholy ballad "Smoke Gets in Your Eyes," on a set that is identical to his sister's basement. The scene will be a pivotal turning point in the mayor's life as he decides to seek help. This is the climactic scene in which Ford decides to take a break from campaigning and seek help for his "problem with alcohol." And while the musical will inevitably be comedic overall, we think this should be a tender moment in the play that addresses the serious substance issues that Ford is battling in real life. But don't worry, the musical in our mind will still provide plenty of laughs. Worst case scenario, the producers can always just reenact Ford's best GIFs, and they'd still pack the house.